I love anything with artichokes and spinach, but when they are together they taste amazing! 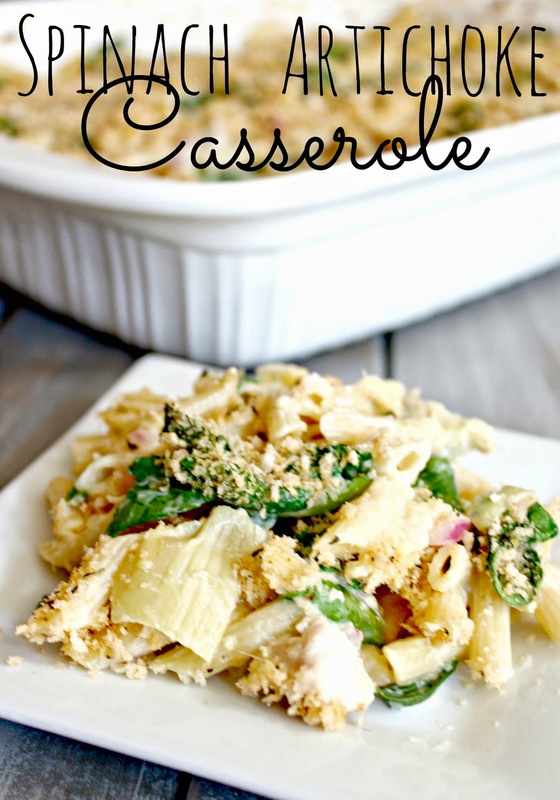 This casserole was a huge hit in my family! If you feel like it needs meat, feel free to add a cup of chicken. and it will still turn out great! Bake at 400° for 30 minutes.